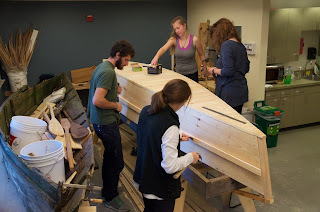 This fall I've been teaching a boatbuilding class as part of a seminar for students living at Green House, UVM's environmental dorm. We are researching a Burlington institution: the Auer Family Boat House, located at the mouth of the Winooski River for almost ninety years. 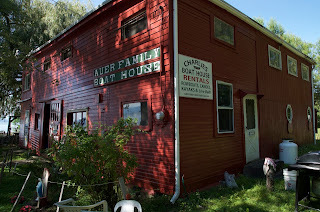 Auer Family Boat House is now run by Charlie and Christine, the two children of the founders. They remember when their parents built the livery fleet from scratch. 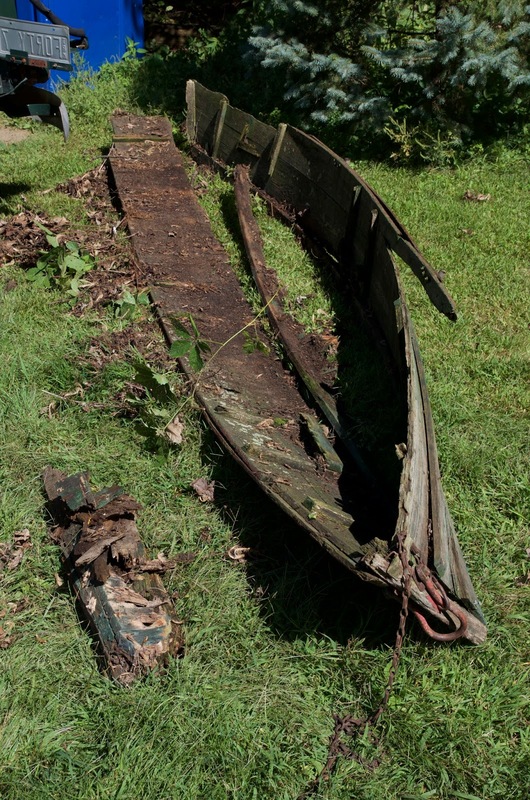 This is the last remaining boat from the original fleet. Basically it was just the two side planks with the remnants of the stem at one end, but amazingly, the Auers had their parents center mould from when they were building boats. To call this a Burlington institution is an understatement. This place is a complete throwback and one of the most charming spots in the city. 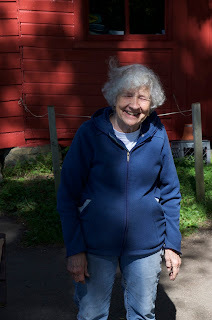 You can find it at the very end of North Avenue, or if you are on the bike trail, you can see it below you just before crossing the bridge at the Winooski River (heading north). Christine is eighty-eight years old and she said this boat was built for her by her mother when she was five. She reminisced about using it and we hope to get her in our replica. 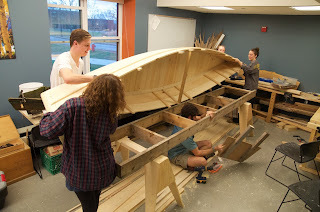 Students started construction after first measuring the original. Without the center mould we would never have been able to replicate this boat accurately, because we had no bottom planks to establish the beam at the chine and no intact thwarts to know the flare of the sides. 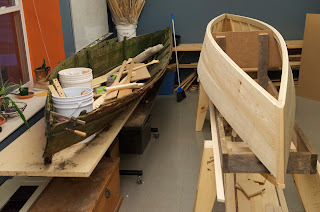 As of our most recent class the boat came off the mould setup, fully planked, bottom seams caulked and puttied. Now students are starting to layout the thwarts and rub rails and painting. 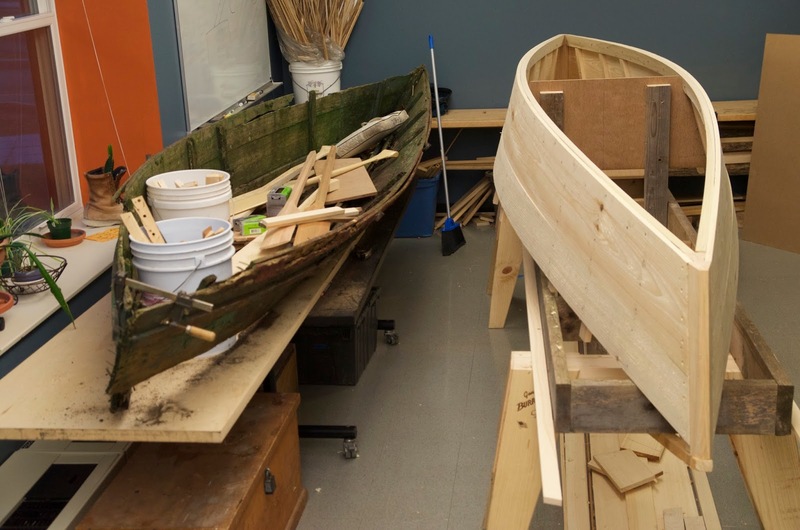 The of my students are in the engineering program and they feel confident they can create drawings of the boat in CAD and Solid Works. 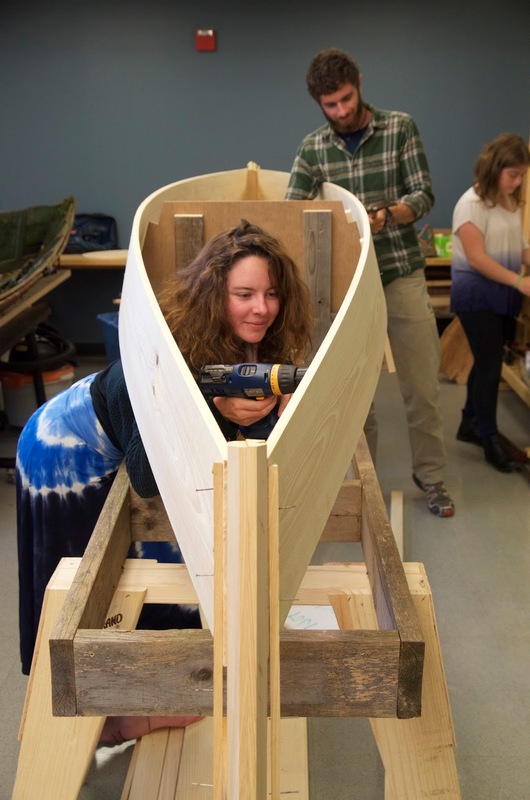 This will be an important documentation of Burlington's waterfront history. 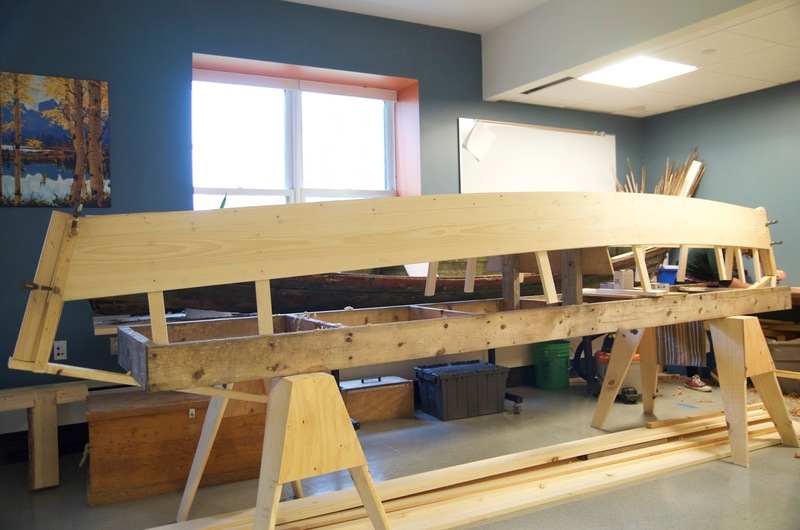 "What about this old centre mold?" "Can't burn that, might need it someday"